In a world of rapid technological advances, the moral issues raised by life and death choices in healthcare remain obscure. Life and Death in Healthcare Ethics provides a concise, thoughtful and extremely accessible guide to these moral issues. 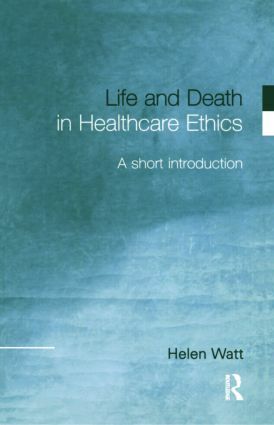 Clearly written and insightful, Life and Death in Healthcare Ethics presupposes no prior knowledge of philosophy. It will be of interest to anyone confronting healthcare ethics for the first time, or seeking to develop his or her understanding of some core topics in the field.